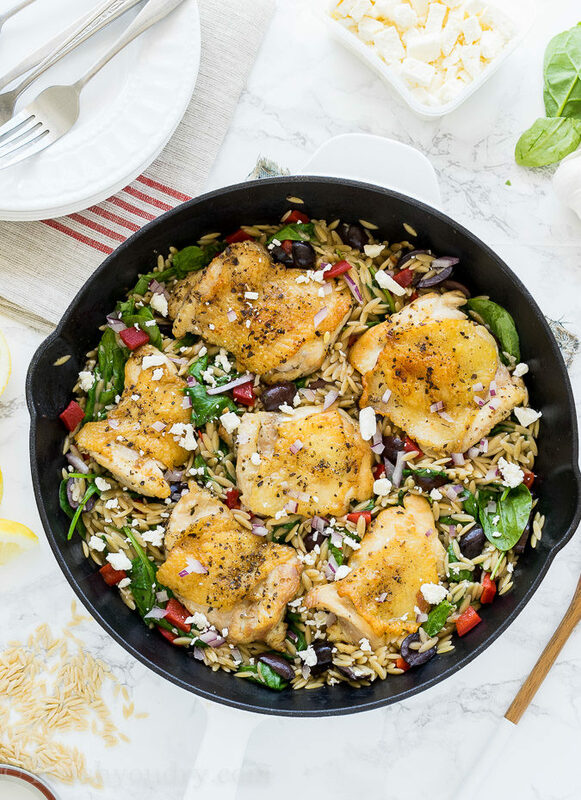 This One Skillet Greek Chicken is full of bold flavors, fresh veggies and orzo pasta, for a complete meal all in one pan! 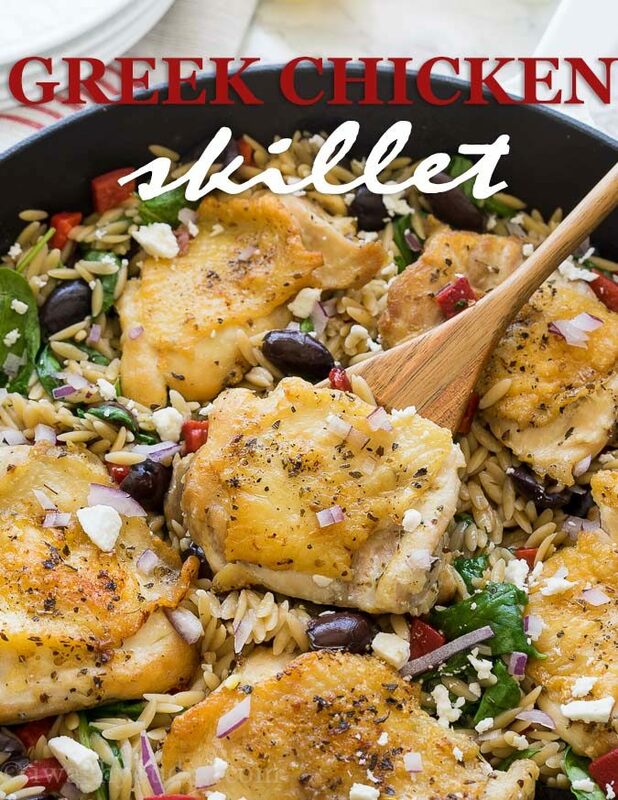 I’m pretty much obsessed with Greek flavors and this one skillet dinner is full of them! 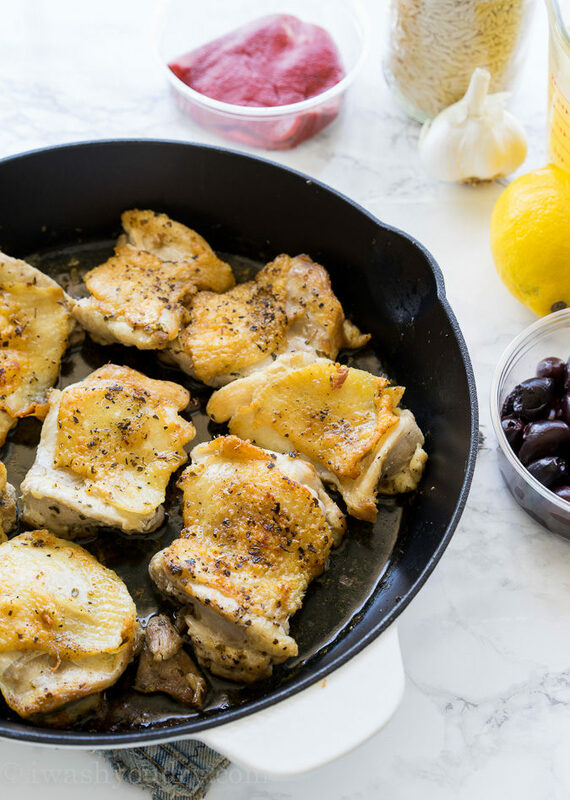 You know how much I love quick and easy dinners, especially ones that are prepared in ONE SKILLET so it’s no wonder that this chicken dish, paired with the bold Greek flavors is one of my all time favorites. 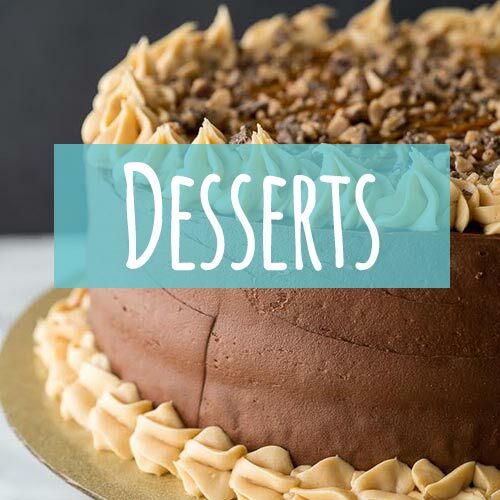 I actually already have a recipe very similar to this in my archives, but it needed a fresh twist. 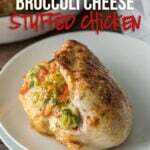 For this recipe I used boneless chicken thighs with the skin on. It can be difficult to find this combination, but when in doubt, buy bone-in, skin-on thighs and just remove the bone yourself. It’s actually really easy to do. Just turn the chicken skin-side down on a sturdy cutting board and run a sharp knife along the bone. Slide your knife under the meat and remove the bone! 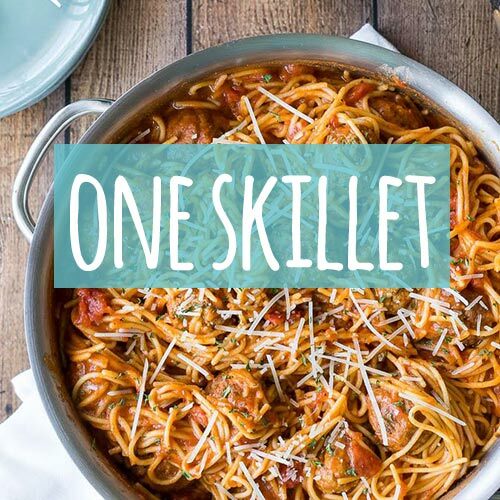 Remove the chicken and cook the orzo pasta in the skillet. 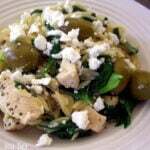 Stir in a little spinach, some kalmata olives, roasted red bell peppers, a little purple onion and top with feta cheese! 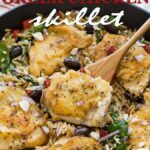 This skillet dinner is so fresh and flavorful! 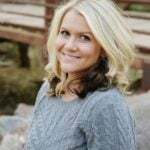 You’re going to fall head over heels in love with it! Everyone in my family devoured it, and it’s been made a permanent resident on our menu! 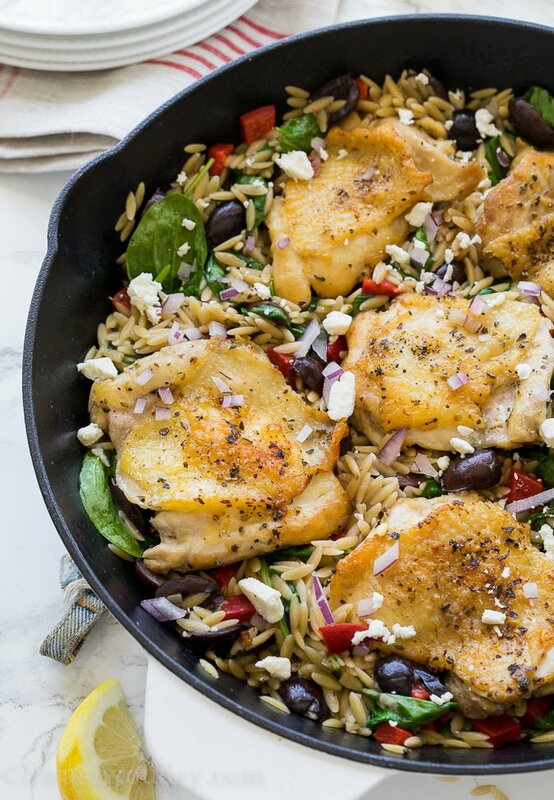 This quick and easy Greek Chicken Skillet is all made in just one pan and full of deliciously bold flavors. Heat oil in a large, oven safe skillet over medium high heat. Season chicken thighs with oregano and salt and pepper on both sides and sear skin side down in skillet for 3 minutes. Flip and sear the other side for an additional 3 minutes. Transfer skillet to oven and cook 10 to 15 minutes, or until chicken is cooked through. 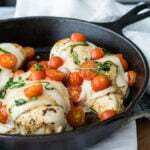 Carefully remove skillet from oven and transfer chicken to a plate to keep warm. Drain any fat from skillet and discard. Return the skillet to the stove top over medium heat. Saute the garlic until fragrant and then add in the orzo, chicken broth and olives. Bring mixture to a boil, reduce heat, and simmer covered for 15 minutes, or until pasta is tender. Stir in the dill weed, lemon zest, and spinach, stirring until the spinach wilts slightly. Return the chicken to the skillet and warm. Top with the feta cheese, roasted red bell peppers and purple onion. Enjoy! *You can use skinless chicken thighs or breasts if desired. I made the stuffed chicken breast recipe and it was a real hit for all the picky eating boys that I have. Thanks a million. I have everything needed on hand and will be doing this for tomorrow’s dinner. Looks amazing! !